The Transportation Department is warning motorists that the highways will be congested today through Sunday. Safety Director Leanna DePue says fatal accidents were way down last year during the Thanksgiving holidays … about half the yearly average. And, she says the nice weather today would appear to be idea for traveling, but statistics show that crashes actually increase when it’s sunny and dry. Depue is asking for motorists to especially watch for motorcyclists, who will likely be out and about to enjoy the holiday and mild weather. Texting while driving and driver fatigue are increasingly becoming causes for crashes. Depue says the Department is working on a major shoulder expansion project, which also includes the installation of rumble strips to alert drivers when they veer from the path. 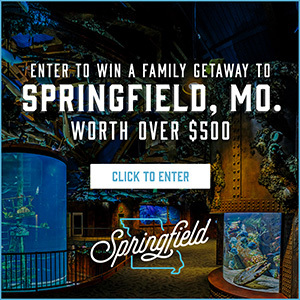 She says motorists can check the traveler information map online before leaving to see if there are any routes under construction … and says those already on the road can download the new MoDOT app onto their smart phone. She reminds motorists that driver inattention is the leading cause of traffic accidents, and warns against using the maps or texting while driving. 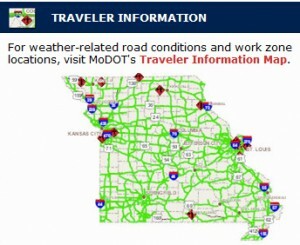 The traveler information map is also available online at www.MoDOT.com. DePue reminds folks to celebrate responsibly — don’t drink or do drugs and then drive.